The Applied Interpersonal Neurobiology Certificate Program is designed to equip professional counselors and educators with a comprehensive theoretical framework rooted in contemporary interpersonal neurobiology and a correspondent toolbox of effective and adaptable experiential skills. 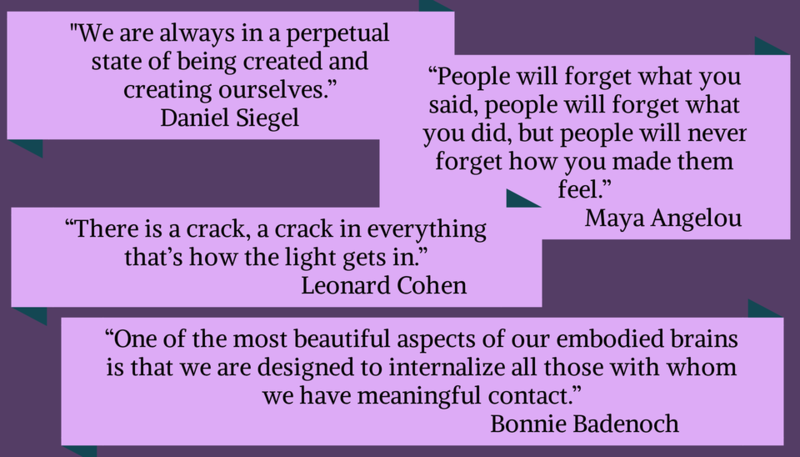 All courses will highlight the embodied interconnection between mind-brain-body-spirit. Every course will present a distinct approach, including theory and skills for assessing and intervening upon factors impacting psychological, emotional and spiritual states of development, healing and well-being. Participants will be taught methods for accessing and mobilizing the deep resources of imagination, spontaneity and creativity that exist in every human being and group. The program is grounded in the current theory and knowledge of interpersonal neurobiology, social engagement, somatic psychology, trauma and attachment. 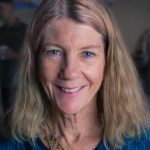 Kate Cook, MA, LPCC, TEP, is a licensed professional clinical counselor and nationally board-certified trainer and practitioner of psychodrama, sociometry and group psychotherapy. For many years she also developed and directed experiential groups for juvenile and adult offenders in the Santa Fe County Detention Centers. Kate maintains a private practice and is a national consultant and educator.